In this article we shall be offering you with details that will prove helpful for you to get started with your home based potato chips making business. You will find complete project repots, cost estimation and others process in the article.Potato chips are most favorite snacks amongst everyone. Just by investing small amount of money, you can get started with small scale Potato chips manufacturing project at home. You may have to invest small capital and you can expect genuine returns, even in the initial stage. On small scale you can manufacture French fries, potato wafers, roasted chips and other types of flavored snacks. Today you find manufacturers offering chips in wide range of taste and flavors including red hot chips, salted, hot sauce flavor, pepper flavor, sour and sweet and much more. Here we will try and offer you with in depth details related to registration, licensing, process, set up, plant and machinery, project cost etc for setting up this business at your home on small scale. In present market, Potato chips are in great demand. With more number of people depending on fast food, Chips are also increasing in demand. By the next few years it is expected that the demand of home made potato chips may increase every year by around 4 percent in the Indian market. Being easily affordable and available, the demand and popularity of home made potato chips are increasing. It is also becoming a part of our ever changing life style. Chips are also considered as low fat healthy alternatives for health food. This means that in near future the market demand will further increase. In general, the requirement of the raw material may vary depending on the types of flavors you are willing to manufacture and sell. You may need different types of ingredients that can be added to the chips as flavor. As we are speaking of Potato chips manufacturing, so one of the most important raw material you need are different types of potatoes – sweet potatoes, ordinary potatoes, added flavors, salt, pepper, chili powder, fresh cooking oil etc. These raw materials are only a few to be named but your requirement may depend on your taste and flavor. A touch of garlic, sauce and onions can also be added and so you may need additional raw materials. Potato in varieties, is easily available in most places within India. Potato is also considered as staple food and so you may find potato in most shops within your locality. This means that the price for potato in India market is not much. The price within the open market may fluctuate on daily basis but on an average a quintal of potato may cost you around Rs 1200 or nearby for ordinary potato. If you want to make sweet potato chips then you may have to invest around Rs 4600 per quintal (average) in the whole sale market. Purchasing directly from the farm may help save a lot of money. In the market cooking oil or vegetable oil is also easily available and you may only have to pay around Rs 120 or nearby for one liter. The cost may also vary depending on the quality of oil you want to use. Common kitchen salt does not cost much and is around Rs 18 per Kg. Apart from this, the price of added flavors and spice may depend on your taste. Note:- You don’t have to target any special market for purchasing raw materials as whole sale dealers and farmers can easily be contacted in most parts of the country. For manufacturing chips on a small scale whole sale dealers are best options as most of them can be accessed nearby to your locality. There are several aspects that may decide the overall cost of the project. Some such important aspects may include production size and production quality. When speaking of a small scale business, your fixed capital may include factors like machinery, building / location, plant and preliminary expenses. Your investing capital may include utilities cost, labor cost and raw material cost (in some cases transporting cost). If you are having a set up space then you may not have to invest money in it. On small scale you can get started with 500 to 800 sq. ft. area. That has access to water and electricity supply. Peeling machine along with handy potato washing machine, deep frying machine, dehydrating machine or dewatering dryer, slicing and peeling machine. You have to invest money in plastic trays, cutting tool, weighting machine, fillers etc. The general process for making any flavored chips is very much simple. You don’t have to spend hours in making chips. Once you have purchased the potato from the market you have to clean them with fresh running water. The potato peels also have to be removed completely before making chips. You will have to cut the potatoes in small slices. You can either select to perform the task manually using a hand knife or even use a slicing machine to speed up the task. Hand slicers are easily available in the market and are not much expensive. After slicing you have to wash the potato once again with running and clean water. The potatoes can be sun dried or fried fresh depending on the demand. You have to fry them in hot cooking oil. Try and select good quality cooking oil so the chips taste good. Maintain proper temperature of oil when frying is also important so they don’t under or over cook. Once fried you can now mix salt and added flavors to it. For better result you may have to pack them after cooling in sealed plastic or silver bags. The overall cost for getting started with manufacturing potato chips at home may vary depending on different aspects. When planning to start the business on a small scale you may need to invest minimum of Rs 80,000 to over Rs 1 lakh initially. The cost for getting started with the project may not be much but you can expect good amount of profit from this business. If you are simply targeting to distribute the chips within your locality or selected stores then you may only have to invest around Rs 10,000 or less. For any business to be legal and authentic licensing and registration are mandatory. As per the laws, if you are running the business in residential area or at your home, you may have to get NOC from your society and Municipal authorities. You also have to get it registered with authorities for MSME (GOI). As the business may involve trades so you also have to get it registered for Trading license. A valid bank account (Current Account) is mandatory as you may have to make and receive pays. This means that for tax clearance you have to provide with your registered and KYC PAN card. You also have to register the business under your name or as a partnership firm along with GST. For food products you have to get it licensed and checked for quality under the FSSAI by GOI. 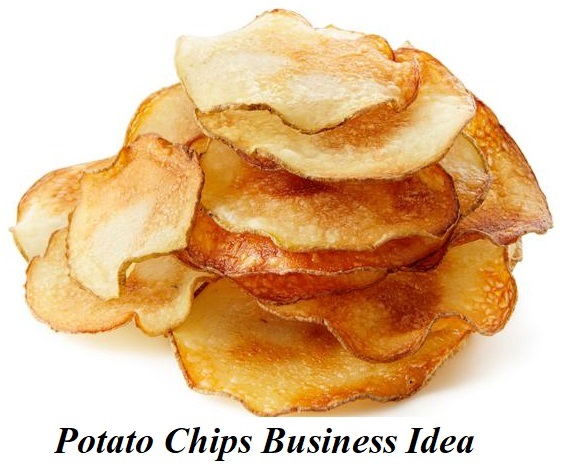 Just like any other small scale business, home made potato chips business offers with much better profit margins. Even if you may find numerous brands available in the market, still the demand for better quality and new flavor is increasing daily. A small 100 grams packet is sol in the market for Rs 10 to Rs 15 minimum. 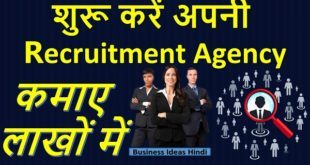 You can easily generate an overall profit of Rs 30,000 to Rs 40,000 monthly by investing Rs 1 lakh every month in raw material. This means that the business has the potential of over 30 percent profit margin, even in small scale business. Just like any other business, as potato chips business is related to food industry, so there are a number of risk factors you need to keep in mind. First of all you have to ensure that you purchase quality potatoes for manufacturing chips. Fully matured potatoes are always better options. You also need to ensure that when manufacturing chips proper hygiene is maintained or else your chips may get stale very soon. When packing always try and seal pack the chips in air tight bag so it does not get staled. Quality of food is important or else you may have to face legal issues if the chips are stale. It is ideal to avoid over investing in raw materials or else you will have to face loss. There are chances that you may not be able to generate health profits.